After a couple of weeks of use, I am very pleased to say that the investment in the LG Fully-Integrated SteamDishwasher™ w/ 3rd Rack has been a complete and total success!! Seriously, this machine really is amazing. 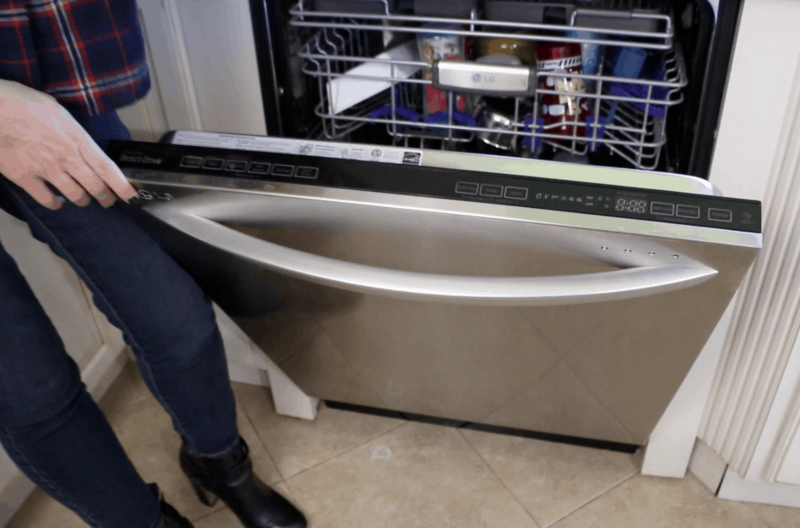 It’s SOOOO much better than our old dishwasher, it’s really hard to believe. Right off the bat, there’s a 3rd rack all the way up top. It’s been great. All the baby and water bottle tops, little pieces, etc. all go up there and are cleaned and dried perfectly! It’s such a difference. It feels so much better because I can tell that these important pieces really are being cleaned and disinfected the right way now. How about the noise? Guess what, there pretty much isn’t any. Sure, the old washer was quiet sometimes, but much of the time it was cranking and sucking water and making crazy noises at the sink. The new LG, however, truly is barely noticeable close to 100% of the cycle. It’s amazing. I wouldn’t have believed it if someone just told me how quiet it would be. Truly. I just love it. I can film my daily videos without a hiccup now. It’s so much better. What about the features? I’ll be honest…there are a ton. I haven’t even explored many of them because the standard “auto” setting has been so fantastic. I do love the options, though, especially the option to have different clean cycles for the top and the bottom rack! How cool is that? How is that even possible? I’m not sure, but you have to love a machine that in it’s most basic, do nothing, setting does a better job than you could have hoped for. Does it clean well? It cleans just about as well as I could have imagined. It’s so superior in every way to any other dishwasher I’ve used, again it’s hard to believe. 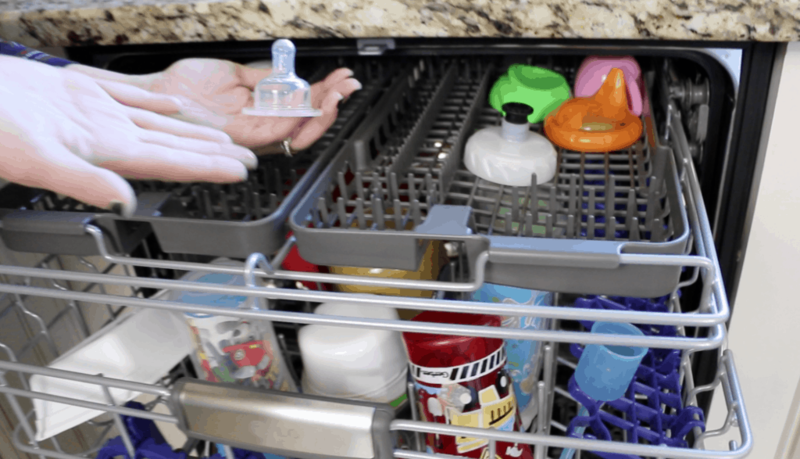 The machine bills itself as being able to clean without having to do much pre-washing before loading. Well, it’s the truth. I’ve been testing it out and not really doing much pre-wash rinsing and the loads have come out sparklingly clean literally every time. No joke. They also come out almost completely dry each time, even with a load of plastic in there, which is so key for us. Bill used to go nuts when the loads would be sopping wet. He’d say that using a little bit of water and power is great, but can it dry a little bit?? Well, this one is super efficient both water and energy-wise, but it really dries like you would hope a dishwasher would. It’s so cool not having to towel or rack dry everything that comes out of the machine after washing!!! 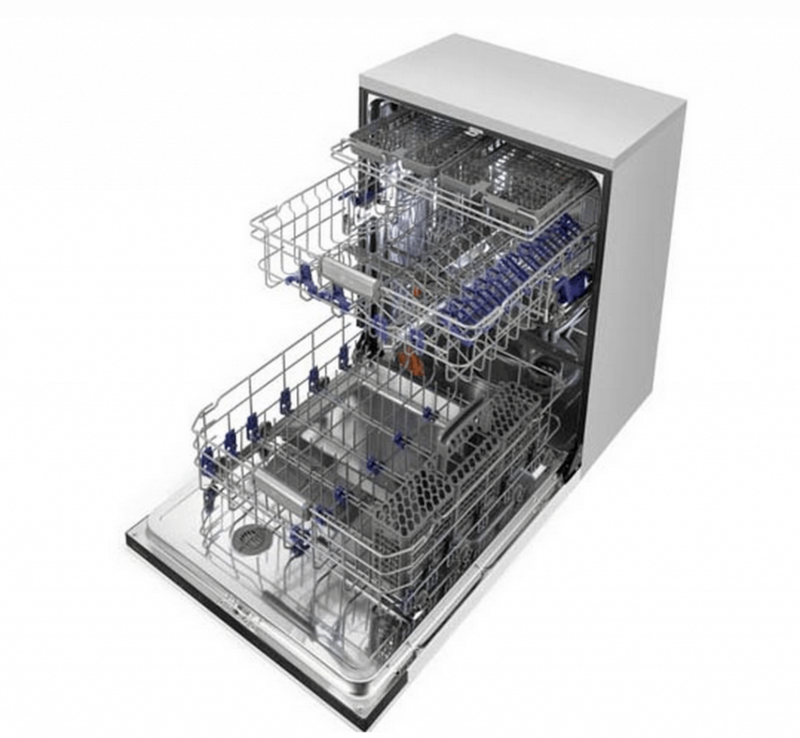 How does the LG Fully-Integrated SteamDishwasher™ w/ 3rd Rack look? It looks fantastic. It has a clean, stainless steel look, with most of the buttons hidden. I love that the front has blue lights that show the progress of the load as it’s working and I have to admit…I love the little tones and jingles the machine makes when the load is completed. It’s so festive and cute! Plus, the handle now matches our new LG refrigerator, so you know I love that. It’s all the little touches that really enhance the overall experience and LG certainly puts thought and effort into getting those things right. 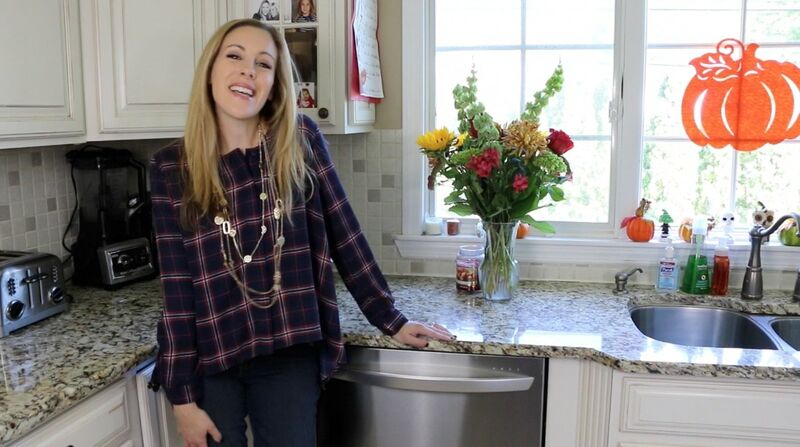 *LG was gracious enough to provide us with our new dishwasher for this review. All opinions and love-gushing experiences are 100% my own.